Compared to Homo sapiens, H. habilis was short and had disproportionately long arms. its individuals on average stood no more than 1.3 m (4 ft 3 in) tall. Habilis brain sizes are estimated to range from 550 to 687 cu cm. Their cranial capacity was on average 50% larger than australopithecines, but is much smaller than the 1350 to 1450 cu cm range of modern humans. Homo habilis probably coexisted with Homo erectus, representing separate lineages from a common ancestor, although another (and previously more accepted) theory is that H. habilis was the ancestor of H. ergaster, which in turn gave rise to H. erectus. Based on dental analysis, H. habilis did not specialize on particularly tough foods. Rather, their evolution points to an increasingly generalized and generally omnivorous diet. They used stone flakes classified as the Olduwan tool set, which were more advanced than those found among earlier hominins. 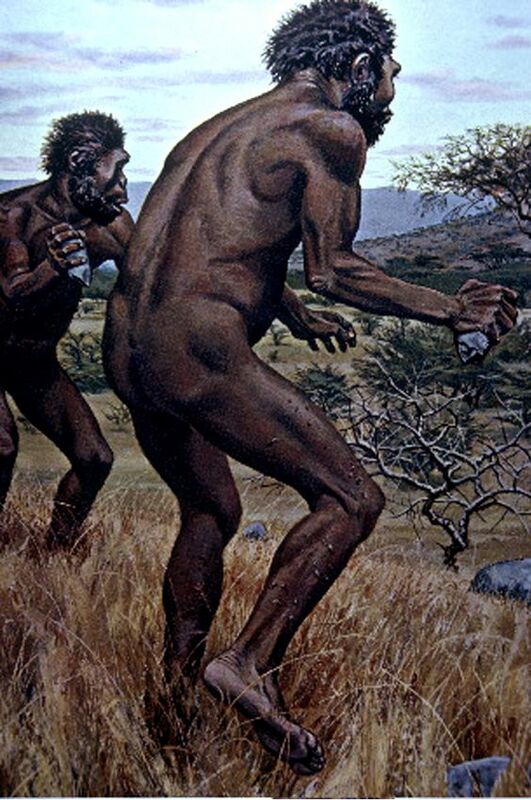 H. habilis used these stones to butcher and skin animals, giving it a distinct advantage over other apes. 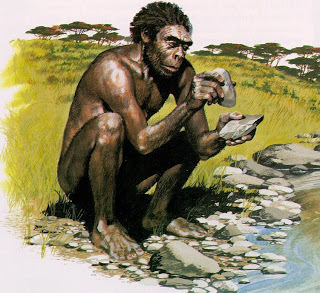 Compared to later Homo species, however, H. habilis used tools mainly for scavenging (e.g. scraping meat off animals already killed and partially eaten by other predators), rather than for defense or hunting. Despite its tool-using advantage, H. habilis often could not defend itself from large predatory animals such as jaguar-sized cats.